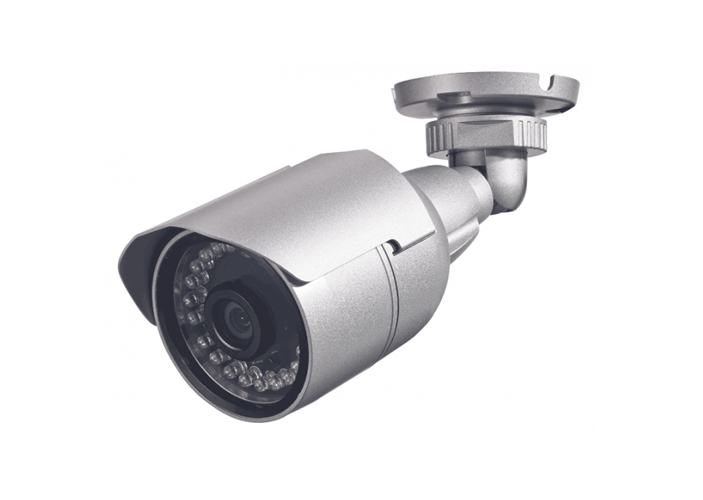 The all-in-one network camera. 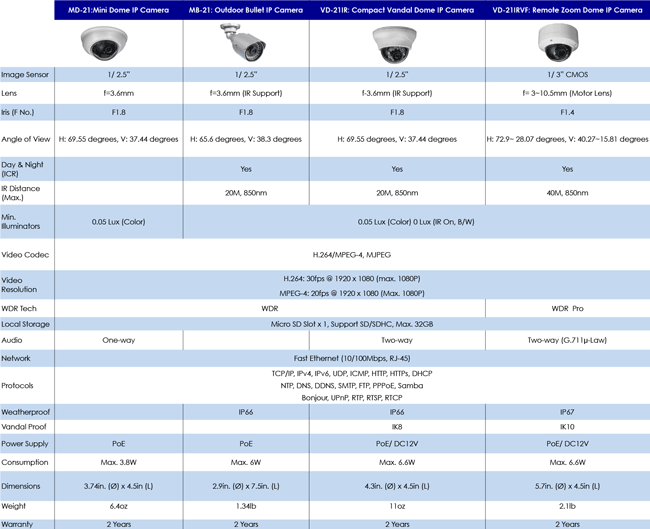 Comtrend’s MB-21IR Outdoor Bullet IP Camera is designed for the outdoors and is the ideal camera for reliable deployment in surveillance because of its all-in-one design and economic pricing. The MB-21IR is equipped with weather proof IP66 certified housing and has an anti-shear bracket to supply protection for hidden cables. The MB-21IR is designed for quick and flexible wall or ceiling mount installation with PoE capabilities and has built-in IR LEDs to support day/night function even in an environment with no light. Codec Quality: H.264: 5 Levels (Max. 1080P), Bit Rate (Max.